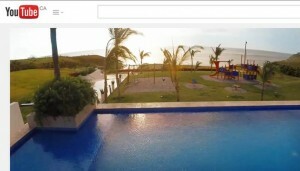 Casamar Beach Community is located on the Pacific Ocean in Panama – a beautiful part of the world. The Casamar Development chose to feature HAGS Play equipment to add to the fun and beauty. The location and equipment can be seen in this video. Inclusive 8 Person Teeter Totter! New From PlayPower Canada. Getting To The Ice Road On Time!